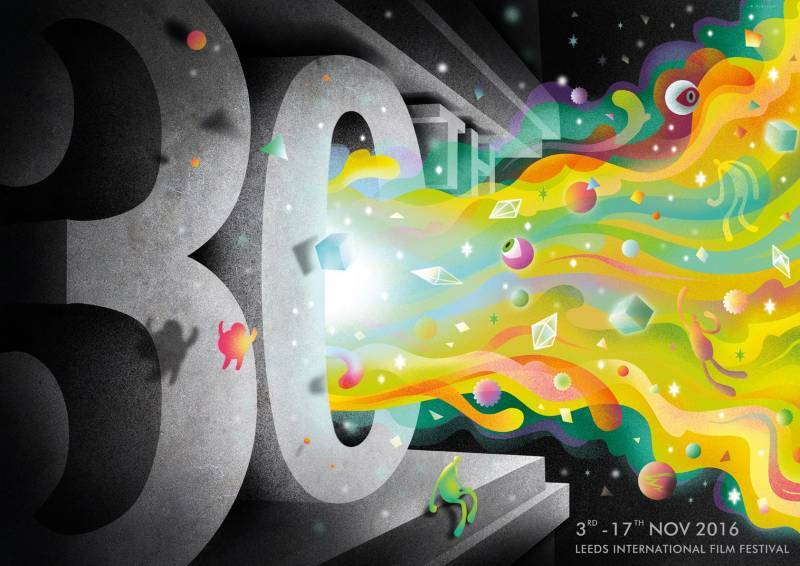 The Leeds International Film Festival took place from 13th – 29th October 1988. On the first day, the famous traffic scene was reconstructed on Leeds Bridge at 2pm, later on that day a ‘black & white ball’ was held in the Town Hall. The film programme addressed eight themes that year: comedy, horror, war, music in films, images of England, animation, women and film and documentary. The Leeds 1987 Electric Film Festival has been staged by the Friends of the Hyde Park Picture House with the financial support of Leeds Leisure Services, Yorkshire Arts Association, Yorkshire TV and Stuart Barrett Supplies. The first film festival was held from 5th March – 19th March 1987, its main sponsor was the Electricity Board, hence the name. Screenings took place in venues across the city including the Odeon and Leeds City Art Gallery on the Headrow in the city centre, the Hyde Park Picture House, Leeds Playhouse (Calverley St), Cannon ABC (Vicar Lane), Leeds City Varieties and experimental films were screened at the Swarthmore Centre (Woodhouse Square). On the 3nd page of the programme there is a picture of the festival organisers; Michael Johnson, Bob Geoghegan and Janice Campbell. In an interview in 2014, Bob Geoghegan, who at the time had been a film maker working for the BBC, based at Broadcasting House, described how a core membership of the Friends of Hyde Park Picture House group came up with ideas for events at the cinema. This group often talked over their ideas with the cinema’s manager Geoff, who was open to their suggestions, “it was very relaxed” he said. The Hyde Park Picture House was not owned by Geoff, but he had a lease on it and ran it “more or less” as a mainstream cinema and “he was not really into art house films”, but the cinema was in trouble and losing money, the fear amongst the Friends was that a large cinema operating chain might buy it, putting its future as a cinema at risk. One idea that the Friends group had for the cinema in Leeds was for it to screen art-house films alongside its regular programme. In the conventional release system for films in the 1980s, distribution depended on the film’s initial reception. Screenings in London’s West End would be followed by screenings elsewhere in London and in other major cities, followed by further regional cinema exhibition. Titles with popular appeal would be heavily advertised through the mass media in advance of the release date and made available on a large number of prints at once, but in the early screenings, if audiences were unimpressed, fewer prints would be ordered. Specialist films therefore had a limited release. By bringing special guests along to screenings to generate more interest in a screening of a non-mainstream film and presenting special silent film screenings using their own films from private collections, the Friends group hoped to attract audiences for specialised films and to improve the cinema’s profile. They produced photocopied cut and paste flyers to advertise forthcoming events. According to Geoghegan, the idea of putting a film festival on to bring new films straight to Leeds at the same time as London came about at one of these meetings with the cinema’s manager, inspired in part by those starting up in other UK cities, such as Southampton. Janice Campbell ran the library at the BBC in Leeds. She and Geoghegan met with Michael Johnson, head of music at Leeds City Council, where they found a welcome reception for their festival idea. With slightly less than a year to go, “all the buttons had been pressed” Geoghegan said. The group of friends, all of whom were employed elsewhere, worked every night on the first two festivals. “It should have been a massive team of people” Geoghegan said, and he was refused a sabbatical from the BBC to work on the second festival. “You don’t actually realise how much work there is until you start”. Instead for a time a news cutting room stood in as a film festival production office, in between handling news stories, while other members of staff typed up letters to help with the burden of administration. “People think the directors have a lovely time watching all the films” Geoghegan said, but in the early years of the festival its organisers didn’t see many of the films, not even during the festival! By the 2nd year the Council was fully behind the festival idea, the word International was added and it was decided that Janice Campbell would be the director, a position she held for the next six years. This unique relationship that LIFF has had with the Leeds local authority has assured the festival of its continued resources and support. On the welcome page of the printed guide to the 5th edition of the festival in 1991, festival director Janice Campbell underlined the importance of this partnership. ‘Being part of Leeds Leisure Services has afforded us the combination of freedom and security necessary to take risks’. As Chairman of Leisure Services at the City Council, Councillor Bernard Atha wrote the introduction for many the Film Festival brochures, from 1988 onwards. By the time the guide to the 6th edition of the festival was printed, he had gained an OBE and his title had changed from Chairman, Leisure Services to Chair of Cultural Services. A Labour Councillor, Atha had famously played a role in Ken Loach’s 1969 film Kes, so he understood the film industry. 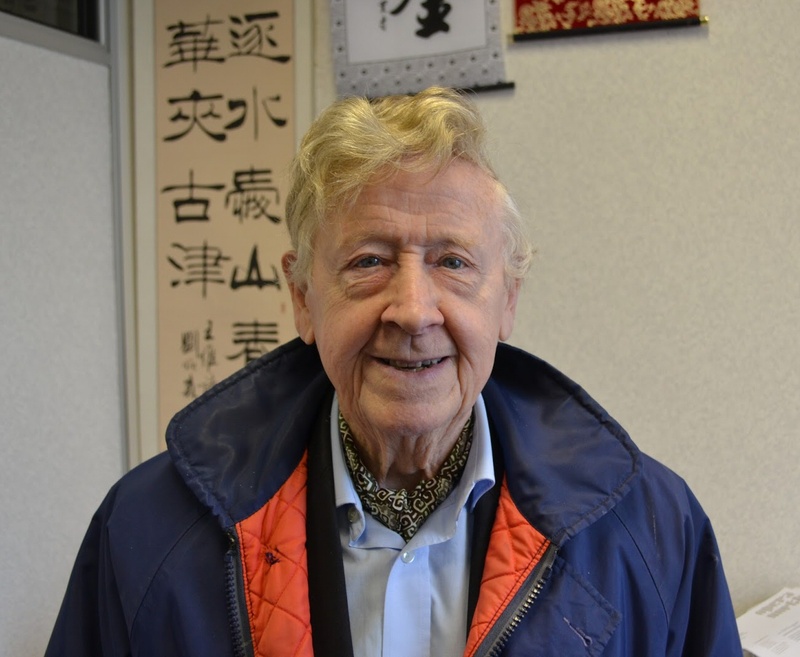 Northern Ballet have described him as “instrumental in the success of many of the major arts developments in the city including West Yorkshire Playhouse and Yorkshire Dance” and he clearly saw the potential for culture to be a generator of the economy in Leeds. “I saw the film festival and the retention of Hyde Park as part of that, a small part, but nevertheless, every small part goes to make a big part”. When I asked him about his earliest memories of the festival and how the Hyde Park Picture House fitted into the story he told me that he thought that the Hyde Park Picture House was unique but “it was rather unloved”. An art house cinema in Leeds was not a huge priority for the Council at the time, but Hyde Park was a main venue for the film festival and the Friends group feared that if the cinema wasn’t brought into local authority ownership, it would get bought up cheaply by a company who wouldn’t value it for the same reasons the all the people involved with it at the time did. Atha remembered persuading the leader of the Council to take the Hyde Park over. “I remember him saying ‘alright it’s on your head, if it goes wrong it’s yours”. It seems that the transition of ownership and risk in the cinema from the owner to the Council occurred in 1993. In the guide to the 7th film festival that year, Liz Rhymer is credited as the cinema’s manager. For a time, Rhymer ran the cinema as well as working for the festival, she had been brought into the festival in 1994, just in time to rescue it when the director, Kath Baker who had replaced Janice, suddenly quit. Liz stayed on as festival director for four more editions. Personal friendships and supporters from within industry contributed to establishing the festival’s national profile. Guests of the festivals in the early period were directors, especially Derek Jarman and Ian McKellen, actors and media personalities that included Michael Palin, Russell Harty and Peter Ustinov. The festival at this time had a rather ‘civic’ identity, it always began with an opening night gala, with ballgowns and formal attire, and held a mid-festival gala and a closing gala. In the mid 1990s Andrew Macgill took over formal management of film festival, when he was appointed to a managerial role at Leeds City Council. The festivals’ present director Chris Fell took over as festival director in 1999. “What Chris brought in was a very coherent flavour to the festival” said Macgill, who described Fell’s programming style as ‘iconoclastic’ and ‘challenging’. For example, at its opening gala in November 2007 the festival screened a feature length animation film Persepolis (Vincent Paronnaud and Marjane Satrapi, 2007), an autobiographical story of a young Iranian girl living during the Islamic Revolution, “it was not the usual thing you would do”. Councillor Bernard Atha was still Chair of Cultural Services when Fell took over, but there were major changes happening to the city’s cinemas. The Hyde Park Picture House, as we know, is now the only major festival venue to still have the equipment and staff to run 35mm film screenings with reel to reel projection. That the Hyde Park Picture House has remained such an important venue for the film festival and has appeared in the programme as a main venue throughout its 30 editions is something of a twist of fate, as the city’s bigger iconic cinemas like the Odeon and the ABC/Cannon are now closed. Until it closed in 2001, the Odeon had been the festival’s largest and most prestigious venue, it was where the majority of festival galas had taken place. Atha regretted the loss of the cinema “the Odeon… it was on the corner, a beautiful building, had a big Wurlitzer organ, it used to rise up with lots of lights, it was all part of the magic when you were kids going to see it…it was a very good theatre, it was one of the world’s best”. Fell also remembers the cinema, ‘the Odeon main screen had 1000 seats and I used to really love cinemas that have that capacity… that’s what we’ve tried to recreate at the Town Hall, by using the Victoria Hall. There’s nothing like watching a preview of a great new film with a giant audience’. Out of the venues mentioned in the programme for the Leeds Electric Film Festival in 1987, the Odeon has become a sportswear store, Leeds Playhouse on Calverley St is no longer there and the ABC/ Cannon is a building site. As cinemas in Leeds have come and gone, the geographical changes to the city have not stopped the festival from growing and evolving. The Showcase multiplex opened in 1989 and was first used for a festival screening in 1990, then extensively in 1991. A nine-screen Warner Village cinema complex was later built closer to the city centre, opening in 1998. In 2002, a thirteen-screen Ster Century cinema opened in The Light shopping centre on the Headrow. These last two cinemas are now operated by Vue Entertainment Limited and have both been used as venues during several editions of LIFF. The list of participating venues in the festival programme every year always includes many non-cinema spaces too. The festival’s success is also linked to its national and international significance. 2001 saw the start of the EU MEDIA funding programme for film festivals, which strengthened the links between European film and its audience through improving the circulation and promotion of international films. In November 2012, certain short film selections in the festival programme began to be listed under the title ‘Louis le Prince Competition’, making the link between the festival and cinema’s historical origins in the city more obvious. This also marked a new arrangement with the Academy of Motion Picture Arts and Sciences that registered Leeds as an Oscars qualifying festival for short films in two categories. This was the year that Leeds City Council celebrated very publicly that the 26th consecutive annual film festival had broken all previous records at the box office. ‘The 18-day festival organized by Leeds City Council drew audiences of 35,000 people to see 270 screenings and events at venues in the city centre last month. This is the highest-ever total in the 26-year history of the event and represents an increase of approximately 10 per cent on last year’. The festival, now established at the Leeds Town Hall, had drawn audiences of 35,000 people to see 270 screenings and events at venues around the city that year, the highest-ever total in its 26-year history an increase of approximately 10 per cent on the previous year. The festival has, of course, continued to maintain a strong relationship with the Hyde Park Picture House, the cinema where it all began 30 years ago. This year the Hyde Park hosted the festival’s official programme launch on 6th October, where 50 or more trailers were screened to a packed theatre. So if you haven’t already picked up your festival guide, be sure to ask for one next time you’re in the cinema and let’s see if the festival can break its records once again on its 30th birthday in 2016. I’m Janice McGuinness (previously Campbell). I have fond, fond memories of the Hyde Park Picture House and how central it was to the genesis of the Leeds International Film Festival and all that flowed from it. In fact, the festival would never have happened without it. I’m delighted that it’s now got funding to restore and reimagine this wonderful cinema.